Over the course of the past two years, TorqueNews has worked with the members of the SRT Hellcat & Demon Group on Facebook to choose the Hellcat of the Month. 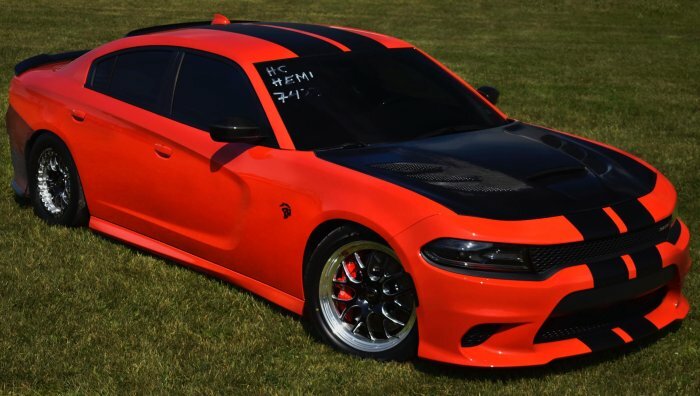 The members – numbering nearly 18,000 – are asked to nominate five Hellcat cars that are owned by active members of the online community. Once those five Hellcat cars are chosen, the members are asked to vote on their favorite car of the five in the running. In August, we focused on the Charger and of the five nominations, Jim’s beast won with 34% of the votes while second place received 27%, and third place received 23% of the tallies. After the members voted him in as the August 2018 Hellcat of the Month, I reached out to Jim for his story on his Charger, which you will find below. I originally ordered the Challenger when the order banks opened in late 2014 as the Chargers were not released yet. Enjoyed the Challenger for a year, then I ordered the Charger. Coming from the Jeep SRT world, I have a thing for big 4 door vehicles smoking sports cars/muscle cars. The reactions and facial expressions are priceless. The car has full bolt-ons, upper/lower pulleys and tuned on Q16 through Josh @ HHP Racing. DSS axles, DS, etc. Future plans are just to wait until something catastrophic happens then upgrade at that point… unless the mod bug bites before then, but I’ve had the car for 2.5yrs and it has under 3k miles, I don’t drive it much. That makes it always seem fast, don’t have a change to “get used” to the power and get bored, lol. Congratulations to Jim Peyatt for being named the August 2018 Hellcat of the Month. If you have a Hellcat-powered vehicle and you are interested in being a member of the biggest and best Hellcat group on FB, click here to join up. Introduce yourself, show off your ride and your supercharged Mopar might be featured here on TorqueNews.